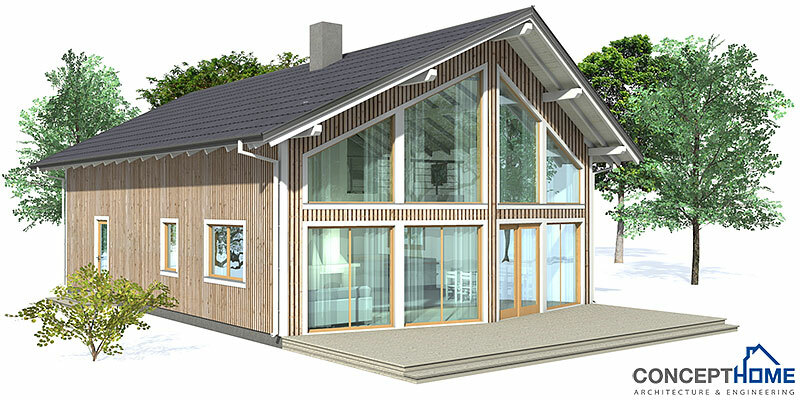 Small House plan CH8 with interesting floor layout and three bedrooms. Small house plan to deep lot. High vaulted ceiling in the living room. TV area on the second floor, three bedrooms.